From Dobbs Co. NC USGenWeb site. 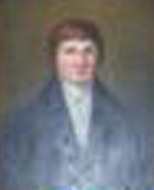 Caswell was approximately 51 years old in 1780, and was approximately 60 years old when he died. "...the mystery of Governor Richard Caswell's grave and others may never be solved." The exact location of Caswell's grave is unknown. The approximate area of the grave is known. Sherman, "Calendar..." . Search for caswell. Numerous returns, mostly relevant. To avoid long downloads, use option to "Save and view this PDF in Reader".